one of the first signs of the illness. With Diabetes Awareness Month underway and orld Diabetes Day around the corner (November 14th) – learn about the common symptoms caused by diabetes, like itching, and how they can be treated with Curél Skincare! 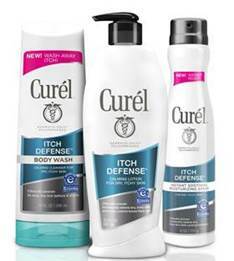 Combat itch all day long with Curél Itch Defense Calming Lotion. This moisture rich formula helps relieve dry, itchy skin and controlflare ups as you rebalance pH levels, moisture levels and cellular turnover for healthy skin. Dermatologist recommended and pediatrician tested, this calming lotion soothes itchy, dry skin while being gentle enough for babies 6 months and up! Available for $8.99 at Drug Stores and mass merchants.